with the imperfections of humanity—our own and that of others. Our self-consciousness and our—often dubious—intelligence are factors that set us apart from dogs, cows, sheep, and robots. But hold on there, R2-D2, those days may be coming to an end. If it wasn’t enough that robots and their ilk are outperforming many traditionally human functions on the factory floor, now they are engaging us emotionally, making eye contact, and tracking our motion. They’re also deciphering how we feel. Their faces show emotion and their voices now mimic that of a listener who is actually interested in what we have to say. So what’s next, will they rear our children and take care of the elderly? Possibly. 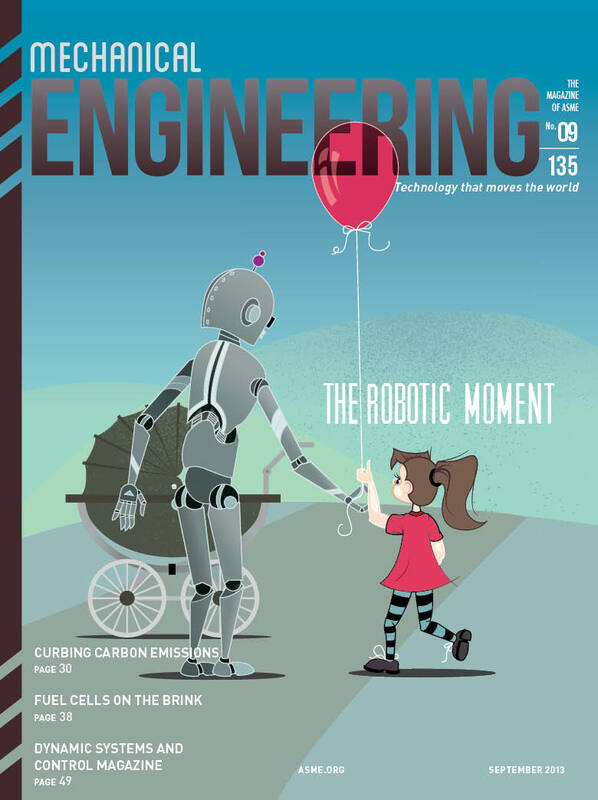 Sherry Turkle, a psychologist who heads the Massachusetts Institute of Technology’s Initiative on Technology and Self, believes that we have embarked on a voyage toward forgetting the importance of human interactions, reports Alan Brown in the fascinating cover story, “The Robotic Moment,” he penned for this issue (page 32). According to Turkle, technology is producing the illusion of companionship that we can turn on and off at will without any mutuality. “People used to buy pets to teach children about life, death, and loss,” Turkle said. “[But] the artificial offers attachment without risk.” Sometimes, those attachments are poignant. Robots may one day be able to do even more than listen sympathetically. They are being wired to help dispense appropriate doses of medications to patients, help the elderly into bed, reach for objects that may be difficult for some to grasp, and more. It may already be happening to you, as it is to me: technology is seducing us into a world where human interaction has become seemingly less central to our interpersonal communication—as enigmatic as that may sound. Robots haven’t yet fully taken over the role of fulfilling our need to interact with one another. But Turkle is sounding the alarm that now is the time to have the conversation before we begin believing that all we need to coexist is our robot friend, and our iPhone.